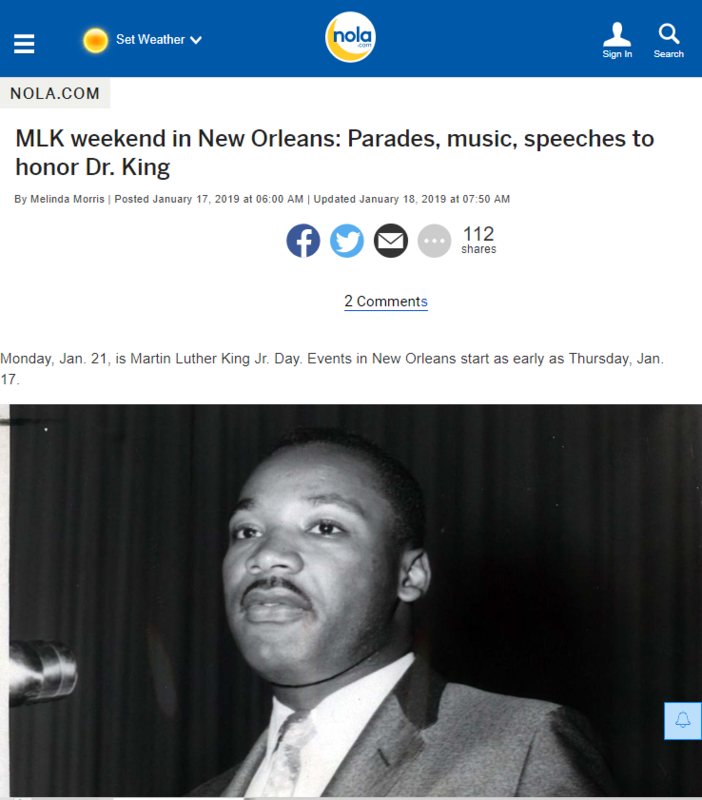 Jan. 19-21, Saturday-Monday, celebrate the life and legacy of Martin Luther King Jr. during Kingfest Weekend at Louisiana Children’s Museum, 420 Julia St. Listen to guest readers narrate stories, including “Martin’s Big Words” by Doreen Rappaport, pictured above. Hear live local music and share your future hopes and dreams in a collaborative art projects and more. Thanks to the Helis Foundation, admission is free to Kingfest on Sunday, Jan. 20, from noon to 4:30 p.m.
Read the rest of the article at NOLA.com.